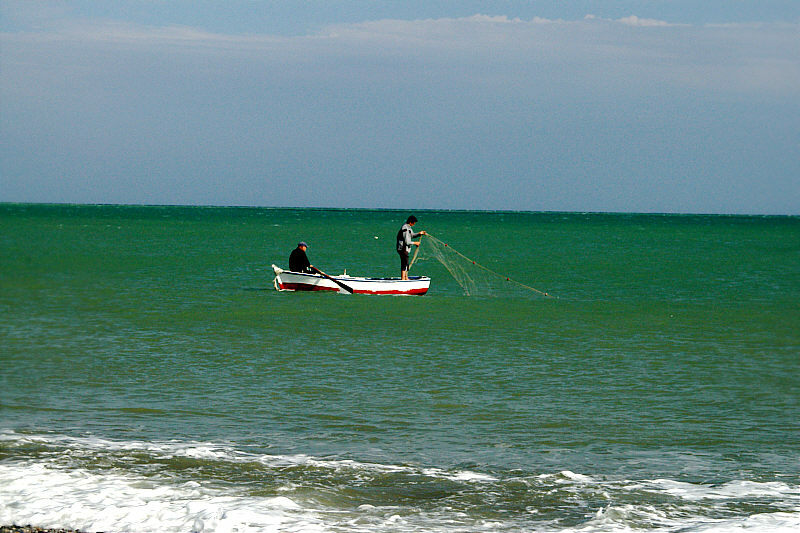 Photo: Fishermen placing their nets. Eastern Mojave Vegetation Fishermen placing their nets. While we ate our lunch we watched the fishermen launch their small boats and set their nets before coming back to shore. They run the keel of the boats up on boards to pull them across the sand. What we didn't learn is how long they leave the nets before they are pulled back in.